This time we'll focus on free PC adventure games, some of them possessing such quality they could easily be turned into full commercial releases, if given more time and publisher support. I won't delve into commercial adventures released as freeware (Sam & Max Episode 4: Abe Lincoln Must Die!, Beneath a Steel Sky, Lure of the Temptress or Flight of the Amazon Queen, among others) but on the passionate work of a few people. When a plastic surgeon is found murdered in his office the police are quick to apprehend a prime suspect. It is a textbook case - except the suspect didn’t do it. There is more to the deceased doctor than meets the eye. Much more. 'Nelly Cootalot: Spoonbeaks Ahoy!' 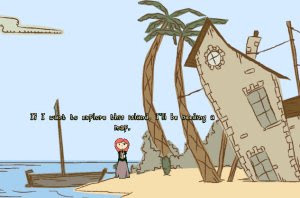 is a free adventure game by Alasdair Beckett. I made it for my girlfriend whose alias is Nelly Cootalot. I hope you enjoy playing it, even if you aren't my girlfriend. Nelly Cootalot is a young pirate captain who meets her destiny when she comes face-to-face with the visage of the long-dead buccaneer William Bloodbeard. Bloodbeard, once the scourge of the South Seas had a sideline in protecting cute and endangered birds. He tells Nelly that the Spoonbeaks of the Barony of Meeth have vanished. Nelly must investigate and uncover nefarious goings-on in the small island community. 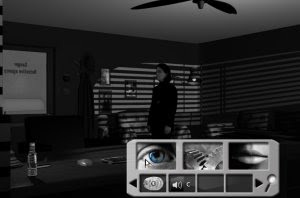 Studio Trophis' debut public production, the white chamber, is a point and click horror adventure game. Explore a strange environment crafted in luscious 2D. Control a trapped young woman from 3rd person perspective as she solves puzzles and overcomes the twisted obstacles in her path. A young girl wakes to find herself inside a strange glowing coffin, in a dark room. Who is she? What is this place? Why is she here? As she explores the warped environment she finds herself trapped within, she must search for answers, all of which will lead her closer and closer to the white chamber and the truth it holds. Fate by Numbers is a free Full Motion Video adventure game filmed against a green screen and featuring 3D pre-rendered backdrops. 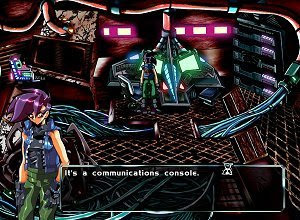 The adventure games includes over an hour of HD-video with professional actors accompanied by a soundtrack written for the game. Private eye Alice Sanger is assigned to get a briefcase, but quickly finds herself immersed in a web of corruption and shadowy motives. It becomes personal when she finds out that one of mysterious people behind the briefcase is none other than her ex-husband whom was declared dead several years ago. What follows is a mysterious journey through the layers of a future metropolis with 50's noir influences.